How to create page-flipping books with multilingual user interface? 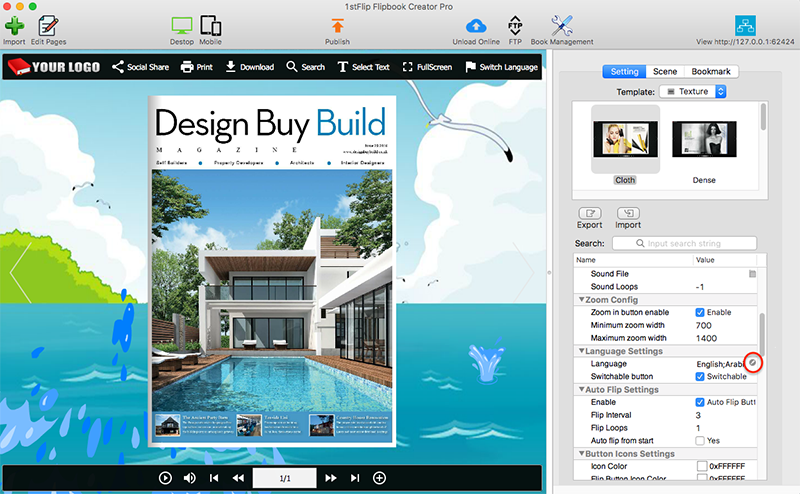 On this pop-up window check the languages you want to add to flipbook interface and click OK and then check the above Switchable option. 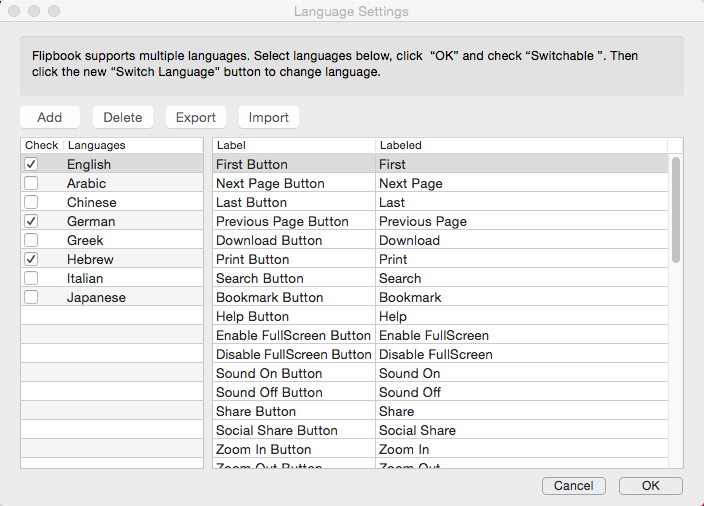 If there isn't the language you want, click Add button to customize the language by yourself. 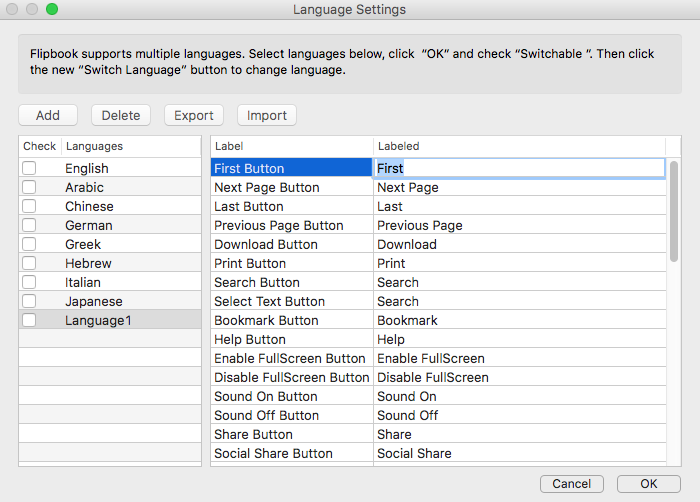 Click the Switch Language button to switch flipbook interface languages easily. 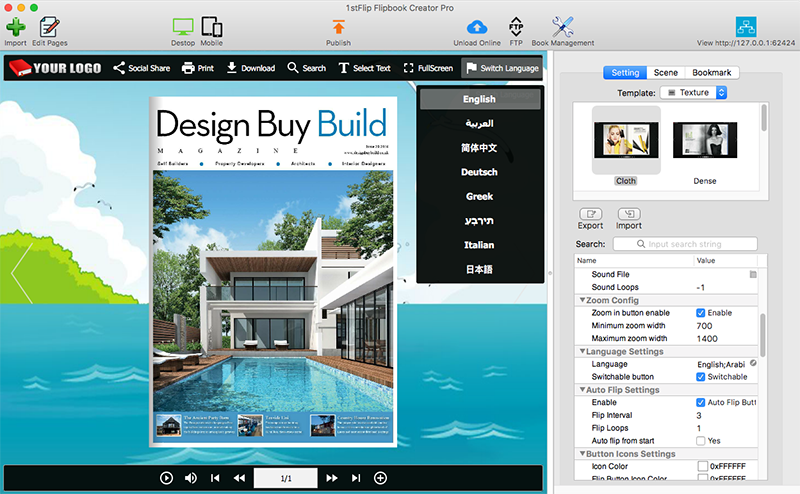 Download the flipping book software free trial to create your multilingual flip books, flip magazines!